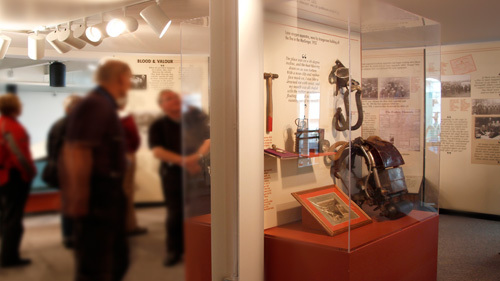 Rich in photographs and first-person quotes, Coal and Grit tells the story of the history of coal mining in Pictou County, Nova Scotia, (including the place where the Museum of Industry is now located,) from the early 1800s to 2008. Discover more about this exhibit on our web site at Coal and Grit. Note: This is our only exhibit to not offer bilingual text; a French-language brochure is available for those who would prefer to explore it en francaise.